Acupuncture is an ancient form of Chinese medicine that has been practiced successfully for centuries. Acupuncture treatment is based on the theory that energy, or “qi”, flows through and around your body along pathways called meridians. Acupuncture for back pain and other bodily issues has become increasingly popular as it does not rely on medications or invasive procedures. Professional acupuncturists believe that illness occurs when something blocks or causes an imbalance to qi. Acupuncture is a way to unblock or influence qi so that it can flow back into balance. This balance promotes natural body healing. Acupuncture is a treatment option that is completed by putting very thin needles into your skin. The location of each needle is highly specialized. Stimulation of these points along the skin using these thin needles is done to clear energy blockages. Clearing energy blockages will help reestablish the normal flow of qi. 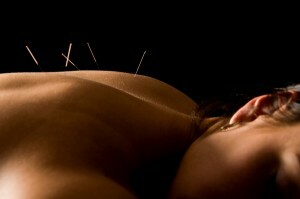 Acupuncture can help an individual deal with a multitude of illnesses, pain issues, and more.